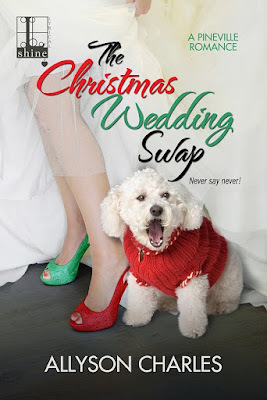 Goddess Fish Promotions has organized a Virtual Book Blast Tour for THE CHRISTMAS WEDDING SWAP by Allyson Charles, a small-town contemporary romance available now from Lyrical Press. “That’s a solid piece of advice,” Delilah said in agreement. “I’m glad you remember that,” Allison said. Luke traced a finger along the slick metal surface of the counter, his eyes hot, and Allison felt it as though his finger danced along her spine. She could see in his expression that he meant it. He did find her take-charge attitude a turn-on. And damn if that didn’t make her go a little weak in the knees. Still, she couldn’t let that claim go unchallenged. Peals of laughter rang through the kitchen. Allison wagged the knife in the air. “Delilah, that advice about being nice to the woman holding a knife? It goes for you, too.” Spinning, she hammered the cleaver into her cutting board, the blade plunging a quarter inch into the wood. She stepped back, and the cleaver stood upright, quivering in its new slot. With a pointed look at her cooks, she stormed to her office. The hoots of amusement behind her back rather diminished the effect of her exit. Allyson Charles lives in Northern California. 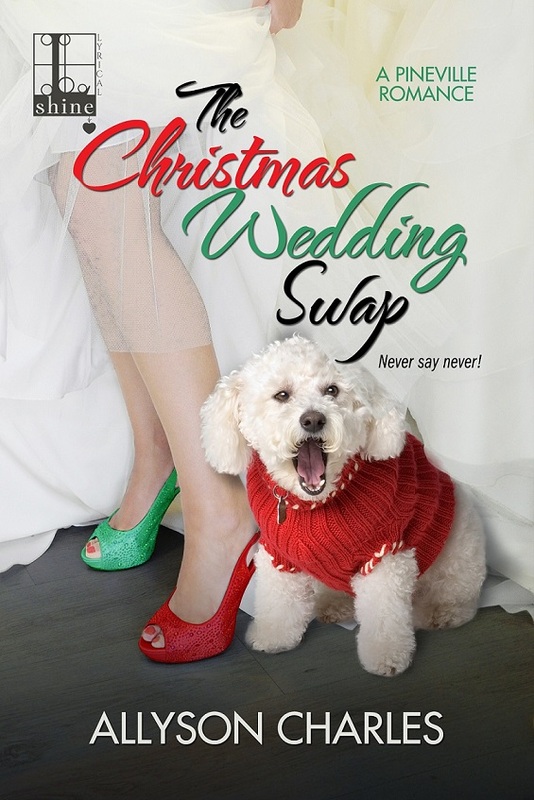 She’s the author of the "Pineville Romance" series, small-town, contemporary romances published by Lyrical Press. A former attorney, she happily ditched those suits and now works in her pajamas writing about men’s briefs instead of legal briefs. When she’s not writing, she’s probably engaged in one of her favorite hobbies: napping, eating, or martial arts (That last one almost makes up for the first two, right?). One of Allyson’s greatest disappointments is living in a state that doesn’t have any Cracker Barrels in it. Sign up for Allyson’s newsletter at www.allysoncharles.com/newsletter. You can find her at www.allysoncharles.com, on Twitter @1allysoncharles, and on Facebook at www.facebook.com/AuthorAllysonCharles. This book sounds absolutely adorable!!! Sounds awsome cant wait to read...!! Thanks for hosting. I appreciate it. If anyone has any questions, or just wants to say hi, have at it!